Being an architectural designer, you need to create 2D designs and 3D models at the same time, or turn models into immersive visualizations in real-time. 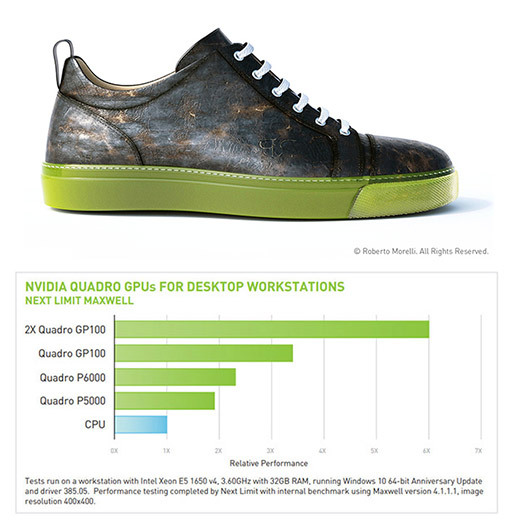 With Leadtek NVIDIA Quadro, architects can create entire buildings—including designing, conducting analysis, and providing detailed walkthroughs of complete structures with new levels of realism. Leadtek NVIDIA Quadro equipped with the most powerful GPUs, large memory capacities and multiple 5K display outputs, urban designers can create modern cities, enabling walkthroughs with complete details of huge amount of buildings, roads, plants, and trees with incredible detail. Virtual Reality (VR) creation requires the highest-performance graphics to deliver the smoothest, most immersive and live-like VR experience. 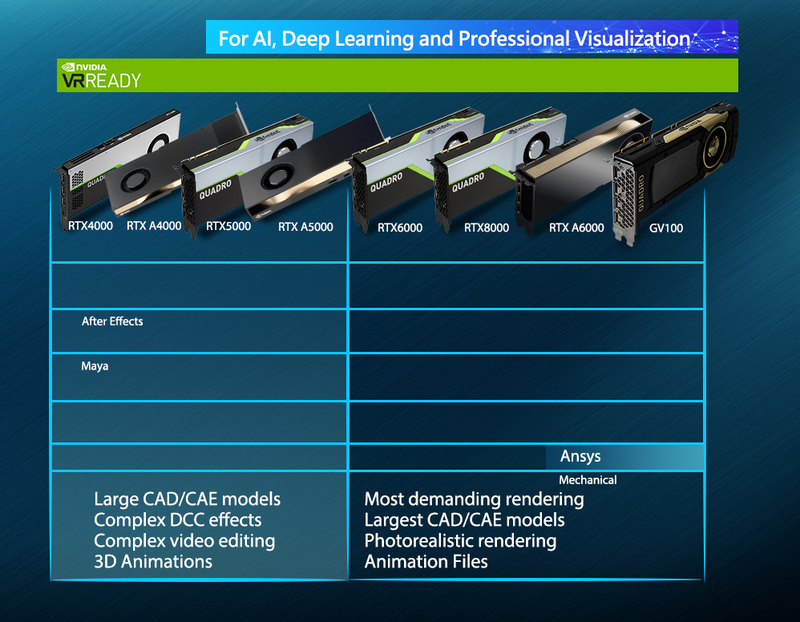 Only Leadtek NVIDIA Quadro VR ready graphics have the level of capabilities can work with NVIDIA's VR platform– which includes NVIDIA Quadro™ VR Ready GPUs, software, and VRWorks™ SDKs – for VR developers to create amazing VR experiences. No matter designers and engineers are creating large number of assemblies/components, most complex 3D designs or integrating simulation in real-time, Leadtek NVIDIA Quadro graphics cards powered by the latest NVIDIA GPU and fast memory bandwidth help users to get the projects done faster and deliver excellent performance during design, visualization, and simulation.Nowadays, 3D printing presents compelling business opportunities. To reduce time to market, many companies had started using NVIDIA GPUs to speed up 3D printing voxels processing. Leadtek NVIDIA Quadro give video editors a faster and intuitive workflow, especially with power-hungry 4K media. Dual H.264/HEVC encode engines and one decode engine let you create and playback ultra-high quality HDR content in real time and work in up to 8K full resolution on their most complex projects with even more layers and effects. 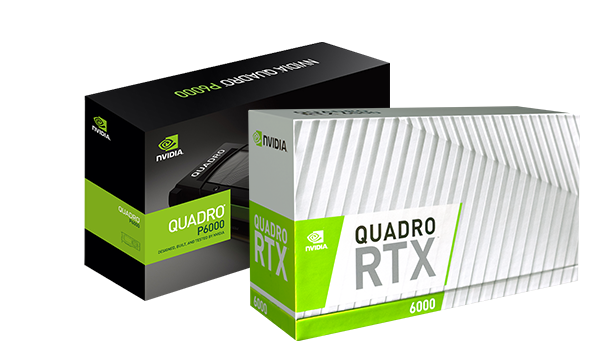 Leadtek NVIDIA Quadro professional graphics cards are built for use 24 hours a day, 7 days a week, power more than 100 digital content creation applications and plug-ins. Artists or animators can rely on Leadtek NVIDIA Quadro to animate extremely massive scenes with large numbers of 3D elements and be able to meet deadlines. More physically accurate scenes are designed with creating beautiful results such as reflections, transparency, and depth-of-field blur with NVIDIA GPUs. 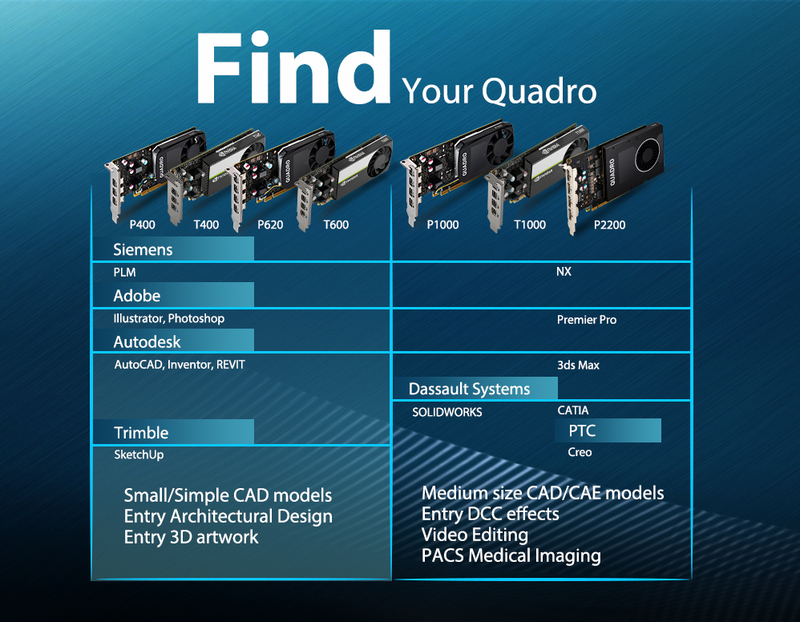 Quadro series offer visual effects artists the extreme performance to create the most complex special effects, maintaining all assets in graphics memory and streamlining the effects workflow. Even more, recent innovations like major performance boosts for popular effects like Lumetri Color, Gaussian Blur Glow, and Mosaic are faster than ever with NVIDIA GPUs. NVIDIA is transforming rendering—and the entire design and creative process. 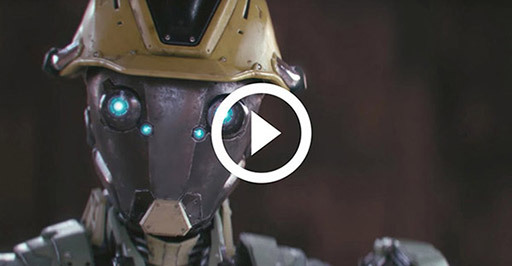 A new era of graphics has arrived enabled by NVIDIA® RTXTM ray tracing technology, NVIDIA GPUs and AI. Fluidly evaluate every nuance of your building, product or character at the speed of your imagination. Now you can easily animate with accurate real-world lighting conditions and simulate materials with ease to realistically visualize during every phase of design. 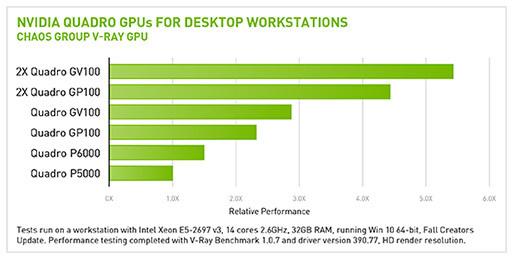 The ecosystem of GPU-accelerated professional ray tracing technology is constantly expanding. Software products are used throughout the visualization process within every industry requiring photorealistic computer graphics ranging from professional product design and building design (AEC) to television and film visual effects. THE WORLD’S PREEMINENT VISUAL COMPUTING PLATFORM. Leadtek NVIDIA® Quadro® professional graphics solutions are certified by over 100 Independent Software Vendors (ISVs) including Adobe Illustrator /Photoshop/After Effects/Premier Pro, Autodesk AutoCAD/REVIT/Maya/3ds Max, Dassault Systems SOLIDWORKS/CATIA/SIMULIA, PTC Creo, Ansys Mechanical, Trimble SketchUp, SIEMENS NX and more, to ensure optimal and stable performance with current versions of their applications and support for the latest features.